Today is International Museum Day, and to celebrate, Google is bringing the world’s art to people up close thanks to their new Art Camera. The robotic gigapixel gadget from the Google Cultural Institute produces "ultra-high-resolution" images. The detail, so rich that you can explore a captured painting brushstroke by brushstroke. A gigapixel image, Google explains on their blog , is made up of over one billion pixels. That means it can help you see things that are invisible to the naked eye. Their camera captures the paintings in sections and then a special software stitches the pieces together. The Google Cultural Institute has just shared a catalog of 1,000 artwork images from artists like Monet, Rembrandt and Van Gogh that people can inspect online. 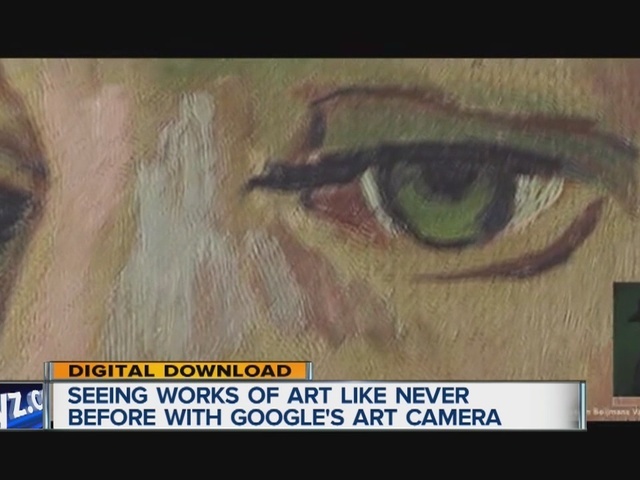 The search engine giant plans on sending a fleet of these cameras on a traveling mission to museums around the world to help preserve art everywhere. If you're looking to celebrate Museum Day on a local level, the DIA is offering free admission to the museum and the special exhibition "Dance! American Art, 1830-1960" today.